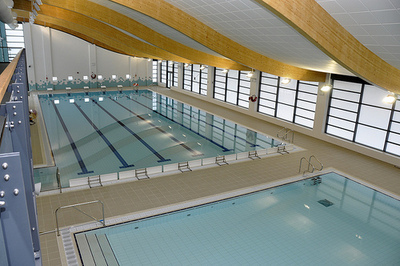 Leisure pools have a high activity level and thus high evaporation rates. Air change rates should be increased to cope with this extra evaporation but it is important that the unit is capable of supplying a lower ventilation rate when the features are switch off. Every Recotherm unit is fitted with frequency inverters to control the speed of the fans and thus provide what ever ventilation rate is required. Standard units are available up to 4 m3/s above this size we will design a unit to suit your particular application the largest unit we have constructed to date was designed to handle an air flow rate of 15 m3/s – but we can go higher if required.